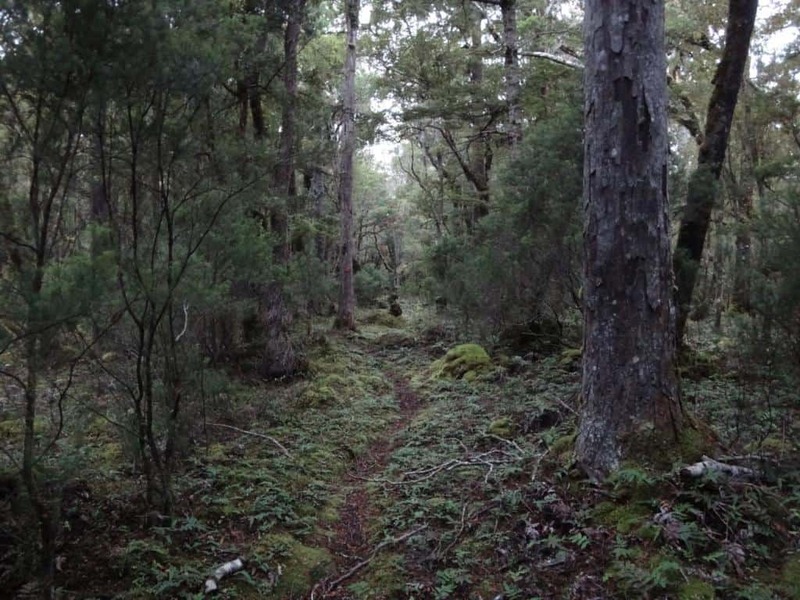 One of the things which most surprised us about this beautiful forest was how warm generally it is – around 3-4C WARMER than nearby Invercargill, so very similar to Southern Victoria. I saw little difference between food growing in our hosts vegie garden at the Waitutu Lodge http://www.waitutu.co.nz/ than you would find here. We lived for a year in Christchurch in 1975. The climate of the Waitutu Forest seems MUCH more equable. Some study needs to go into such things: we may lose much when we clear land injudiciously and wantonly. More surprising though were the deliciously warm air pockets you walked into from time to time. I would judge them to have been at least 5C warmer than ambient (else you would not notice them). So there were places (eg going up the ridge from the Wairaurahiri bridge towards the end of the Port Craig tramline) where the temperature must have been close to 23C (when it was 14C in nearby Invercargill. I was in shirtsleeves the whole trip, and if not for the sandflies could have peeled off further (but for the horror!) in such places. I remarked to Peter Baldwin (manager) that such spots would be perfect bedding/nursery areas for deer. He agreed that he had much success in such spots and had shot a fine stag just two days before only 300 yards away. I suspect this warmth is not geothermal, but has something to do with the forest itself. Somehow, like a greenhouse, it is allowing warmth from the sun in, but preventing it from leaving. I believe certain forest types/tree types also improve rainfall/water availability too, not that such ‘super’ powers are needed in Fiordland! The Waitutu Forest IS a gem. It was completely untouched by man, European or Maori. Had it not been so remote, it might have been cleared for agriculture as it is predominately flat with fine productive soil. There are many other such ‘untouched’ (otherwise excellent farming) areas in Fiordland, eg wonderful uncleared river flats along the Seaforth River in Dusky Sound. We have nothing like this in Victoria. However, in a class action before the Privy Council ‘landless Maori’ who had been ignored by the Treaty of Waitangi were granted land here in the 1890s. Because of its remoteness, they were unable to take it up or do much with it. 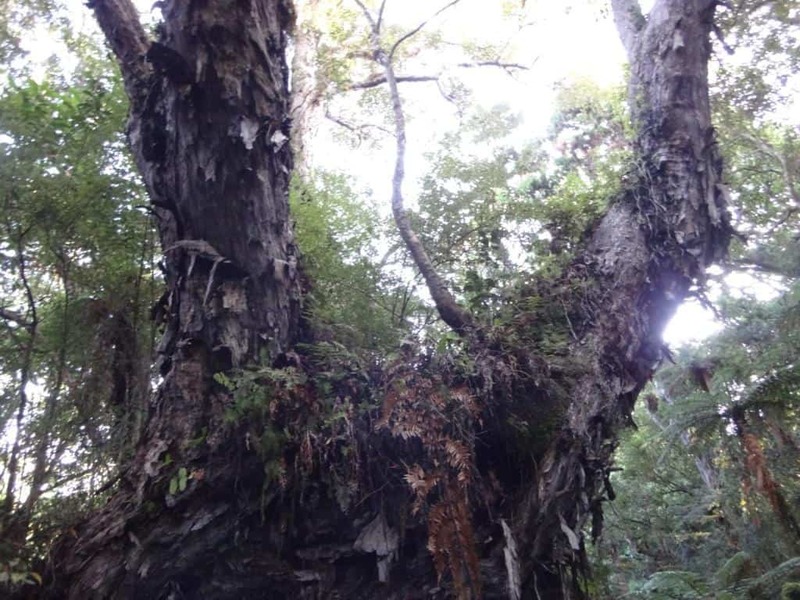 In the mid C20th the value of its Rimu (podocarp) timber meant that they could have made a tidy sum out of it, then used the cleared land for say farming red deer but were prevented from doing so by greens and Government. Eventually they won a compensation action for their confiscation – something I hope to see happen eventually in Australia. They have re-invested a small proportion of that money in the tourist facility at the Waitutu Lodge and plan to improve some walking tracks in the area eg a coastal walk (beginning with the signposted ‘Tiny’s Creek’) to the Crombie stream which would then form a comfortable loop with the existing South Coast track (http://www.doc.govt.nz/parks-and-recreation/places-to-go/fiordland/places/fiordland-national-park/things-to-do/tracks/south-coast-track/) , and an accommodation hut there. Hopefully by next year’s walking season. 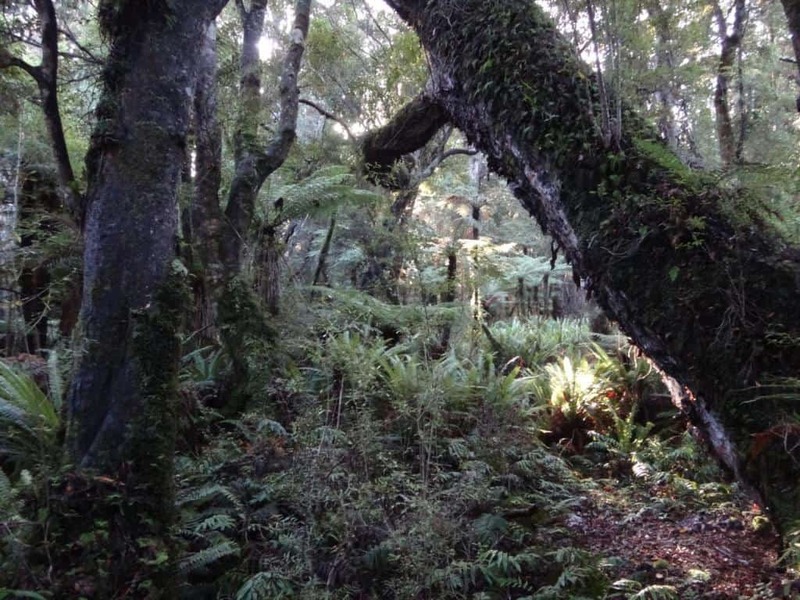 PS: ‘Tiny’s Creek’ is not named after our old JR (as you might have thought), but after one of the ‘giants’ of the Waitutu Corporation, the ‘landless’ Maori group who have done so much for this wonderful forest.